Sleep peacefully amid a villa of lush flowering gardens, fountains, and our world-renowned spa. With a blend of Wine Country charm and Tuscan design, Roman Spa Hot Springs Resort features spacious and comfortable accommodations in the heart of downtown. Our Calistoga accommodations include 60 guest rooms and suites appointed with thoughtful amenities affording every comfort. With three room types available, choose between Classico, Superiore, and Splendido Suites. Each guestroom features custom-designed furnishings with countryside appeal, complimentary Wi-Fi, and rooms with refrigerators or kitchens. Perfect for a calm escapes, romantic getaways, or business retreats in Napa Valley, plan the ultimate retreat at Roman Spa Hot Springs Resort. 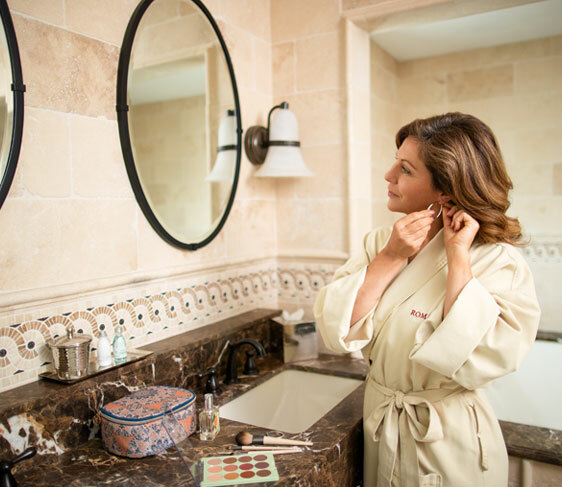 For romantic escapes in Napa Valley, our Tuscan-style Calistoga suites feature spa-like bathrooms with Jacuzzi tubs and marble dual vanities, cozy fireplaces, and flat-screen TV's with surround sound. Flooded with natural sunlight, our charming Classico rooms offer stylish cherry wood furnishings, King or two Queen beds, and available with kitchens. With custom furnishings, a glass-enclosed walk-in shower, and a king bed with luxury linens, our Superiore rooms make for the perfect Calistoga retreat. 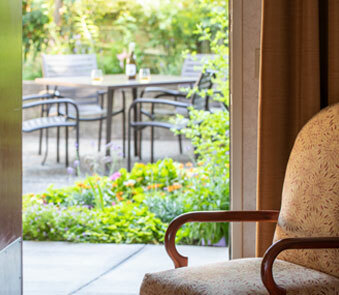 Brimming with Wine Country charm and countryside elegance, our rooms and suites offer everything needed for the ultimate Calistoga getaway. 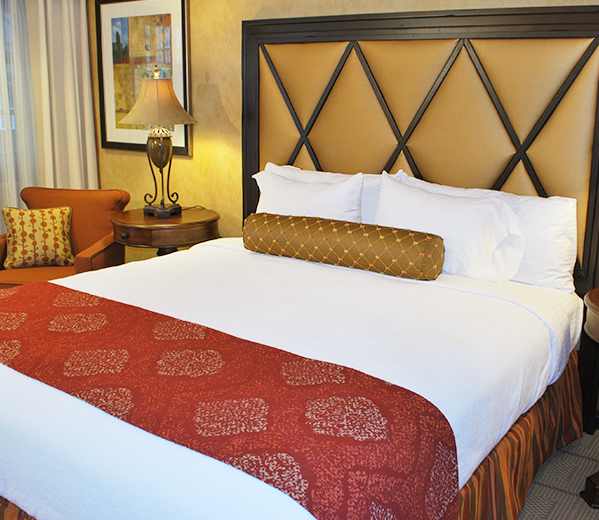 View our accommodations to picture yourself at Roman Spa Hot Springs Resort.